The potato is a starchy, tuberous crop. The word potato may refer to the plant itself as well. 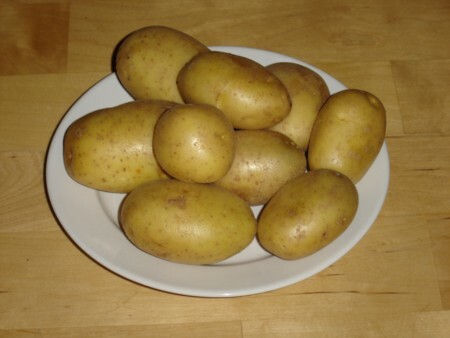 Potatoes are the world's fourth largest food crop, following rice, wheat, and maize. Nutritionally, the potato is best known for its carbohydrate content. The predominant form of this carbohydrate is starch. Cooking and then cooling potatoes significantly increases resistant starch.